Development of our equipment, primarily from our own resources and our own intelligence, such as PASARS, make our armed forces incomparable to other armed forces, because we are capable to provide assets with far less finances and in much shorter time while others would require more money and more time – Minister of Defence of Serbia Aleksandar Vulin said when he attended successfully executed firing at the targets in the air from a modernised system of the gun 40mm PASARS 16. The firing was executed today, and the combined training ground “Pasuljanske livade”. The modernised version of our 40 mm PASARS proved itself as an outstanding weapon during the firing today, and it will significantly contribute to a higher combat readiness of our AF and AD and our Army as well – the minister of defence underlined. Minister Vulin highlighted that he expected that by the end of the year not only the PASARS, but several dozen of different combat systems, arms and weapons would be fielded in our armed forces and it was something that would be intensively worked on. 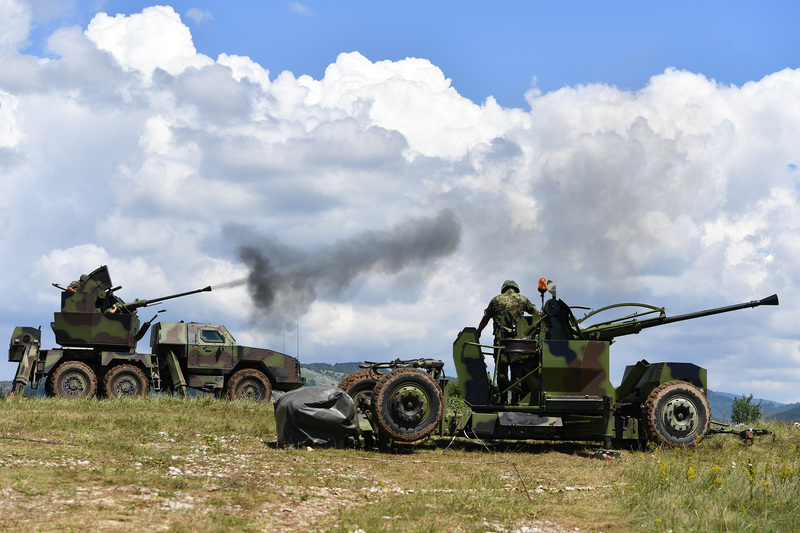 According to Assistant Minister for Material Resources Dr Nenad Miloradović, today’s shooting at air targets from the modernised system of 40mm gun PASARS 16, was carried out in the framework of a testing plan for the introduction of this system in the armament. According to plans that system is to be fielded in the Serbian Armed Forces by the end of the year when serial modernisation will begin. 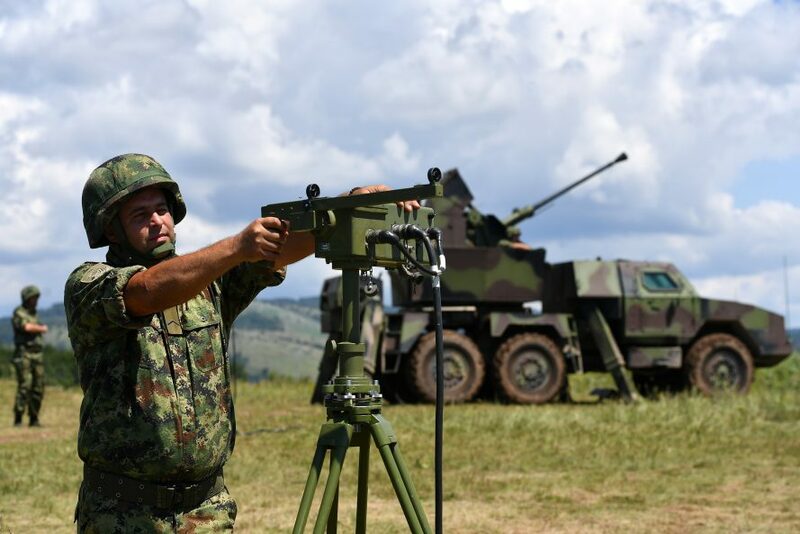 We have witnessed the capability of the weapon to be automatically guided from the modernised radar system “Giraffe”, to track targets in the air and to timely open fire, and according to the received results each of the firing was excellent – Dr Miloradović stressed. He added that this version of the modernisation with 40mm gun was going to be completed by the end of the year which would be followed by the work on suitable rocket system. 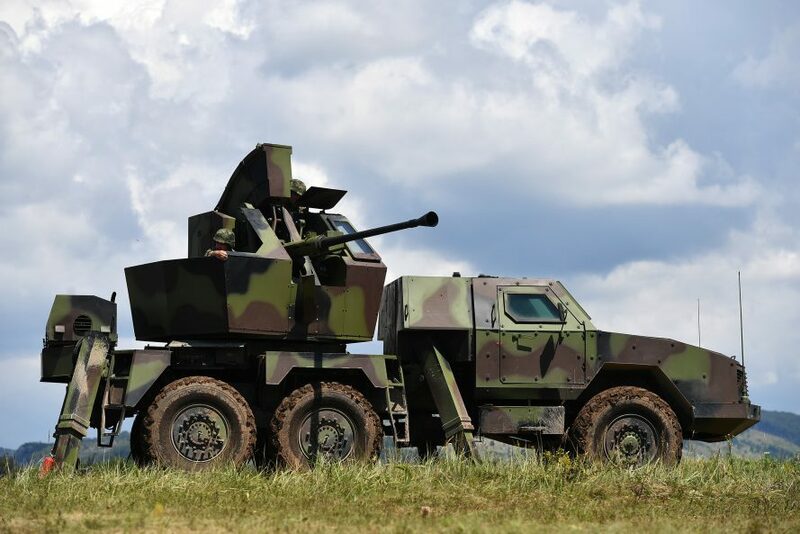 “With this modernisation”, Miloradović added, “our troop AD gains far better capabilities and we will have an asset that is protected, with high mobility level, and fully capable of following mechanised units and provide their protection against the targets in the air space. -Furthermore, this weapon should be the backbone of our Army defence even from the new generation of modern targets such as drones, unmanned aerial vehicles, and in the next phase, from the enemy guided ammunition – Dr Miloradović emphasised.